The apartment fire took place off Benburb Street. 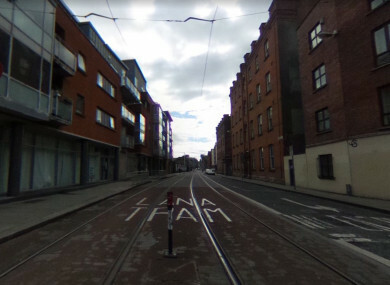 A MAN HAS died after being rescued from an apartment fire off Benburb Street in Dublin last night. Acting Chief Fire Officer Dennis Keeley says fire crews were called to a fire just before 9pm after a fire alarm in the apartment block alerted occupants of the complex. Firefighting teams entered the apartment and quickly extinguished the fire where one male casualty was located and removed from the apartment. Paramedics on scene provided advanced life support in an attempt to resuscitate the patient. Unfortunately he was pronounced dead a short time later after being transported to the Mater Hospital. Email “Man dies after New Year's Day apartment fire in Dublin”. Feedback on “Man dies after New Year's Day apartment fire in Dublin”.